Yhonnie Scarce, Dinah 2016, archival photograph, blown glass, installation dimensions variable, courtesy the artist and THIS IS NO FANTASY + Dianne Tanzer Gallery © the artist. 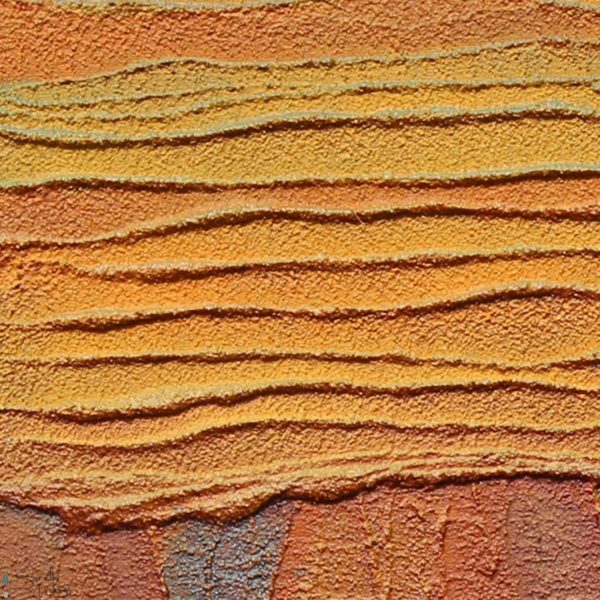 Saretta Fielding, Puna Borii (detail) 2018, mixed media, canvas, sand, 140 x 200cm, courtesy the artist and Annandale Galleries, Sydney © the artist. 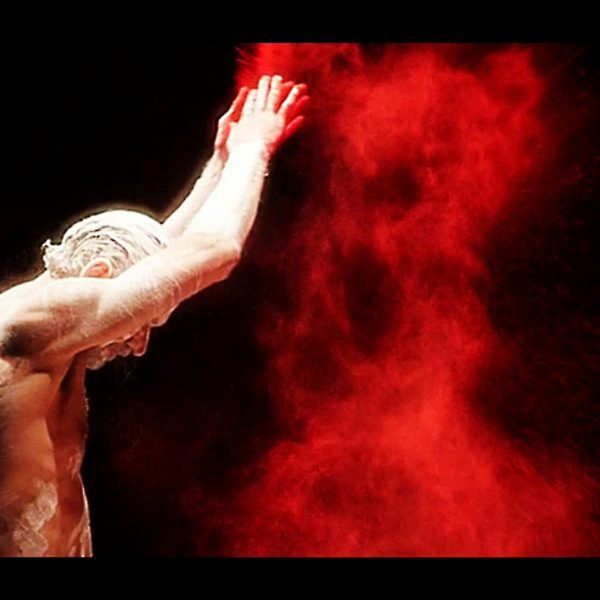 Lake Macquarie City Art Gallery, Hunter Red: Re(A)d Earth, Damian Smith, Arrellah (video still detail), 2014, digital video (with Kate Duhamel, duration 3:12mins), acrylic paint on canvas. Courtesy of the artist and San Jose Museum of Art CA USA © the artist. Hunter Red: Razzamatazz | The Theatre of Art in the Hunter Collections, Tracey Moffatt, LOVE, 2003, Looped Video with sound, 21 minutes, Purchased by Newcastle Art Gallery, 2004 © Tracey Moffatt Newcastle Art Gallery Collection. Hunter Red: Razzamatazz | The Theatre of Art in the Hunter Collections, Wendy Sharpe, Circus Oz, 2016 (detail), Gouache and pencil on Chinese rice paper, 55 x 750cm (book), Purchased by Maitland Regional Art Gallery with funds from the Estate of Peter Elliott, 2017 © Wendy Sharpe Maitland Regional Art Gallery Collection. 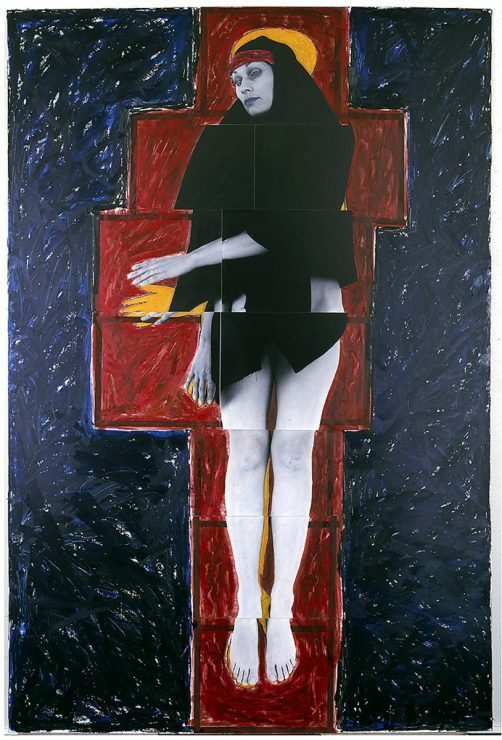 HUNTER RED: Corpus, Newcastle Art Gallery, Julie Rrap, born 1950 Lismore NSW, Persona and shadow: Madonna 1984, type C photograph, 187.7 x127.5cm. Gift of the Newcastle Region Art Gallery Foundation 2007. Newcastle Art Gallery collection. 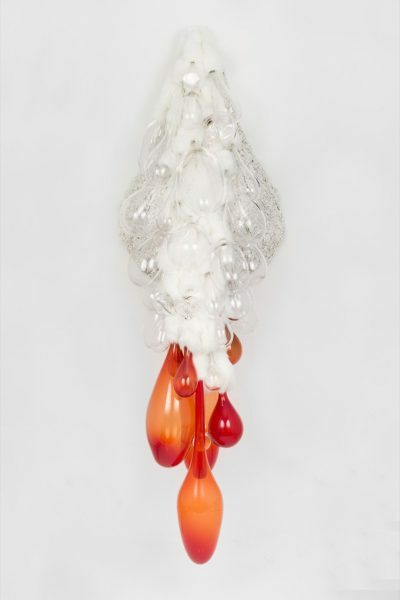 HUNTER RED: Corpus, Newcastle Art Gallery, Juz Kitson, born 1987 Sydney NSW, Thousands of words exist silently in your memory, 2017, hand blown glass, merino wool, rabbit fur, polyester string, marine, ply and treated pine, 200.0 x 78.0 x 60.0cm. Artist collection. Courtesy the artist and Greenaway Gallery / GAG Projects Adelaide. Each of the galleries involved is hosting an exhibition devoted to one of these themes, featuring both loaned and newly commissioned pieces that span the whole spectrum of mediums. 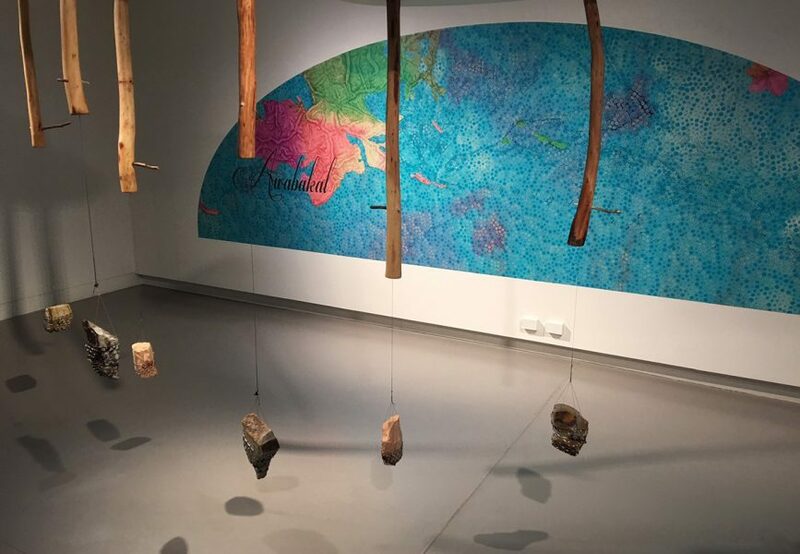 The Lake Macquarie City Art Gallery show, Re(A)d Earth, explores Aboriginal connection to land and the notion of ‘reading’ country. At Newcastle Art Gallery, Corpusconsiders representations of the body and the notion of ‘other’. Maitland Regional Art Gallery’s show, Razzamatazz, displays a range of theatrical, fantastical and playful artworks from the region, while the Lock Up in Newcastle is hosting Seeing Red, which aims to reflect the city’s political activism and history of protest. 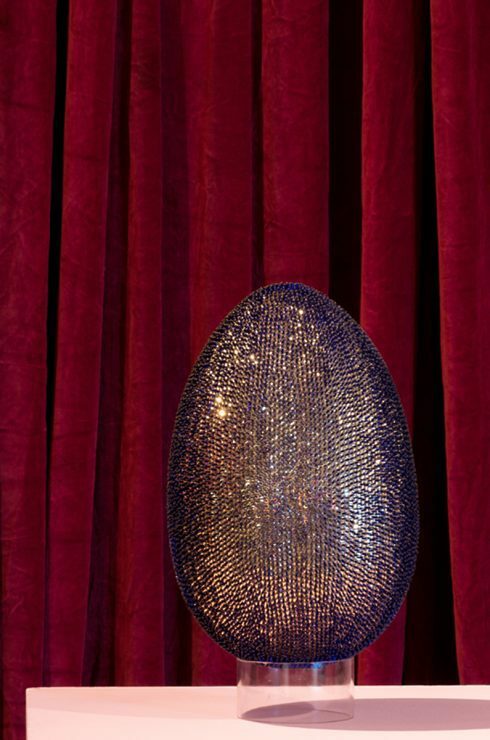 Arguably the most wide-ranging and ambitious of the exhibitions is Re(A)d Earth. Among the Hunter-based Aboriginal artists participating are Doug Archibald, Carole Hartwig, Saretta Fielding, Damian Smith and Nicole Chaffey. 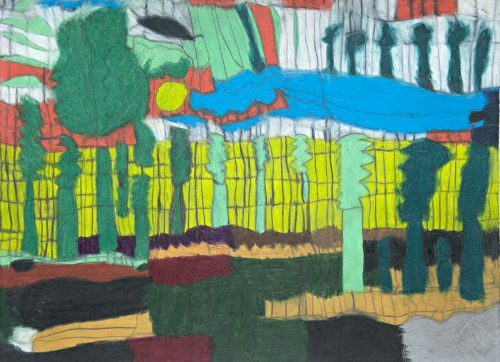 A number of Elder artists are also involved, with Aboriginal groups from both the local region and across Australia represented in the exhibition. “The project taps into the shared wisdom of Aboriginal nations and exemplifies the complexity and diversity of our mutual land,” says curator Donna Biles-Fernando, who developed the exhibition in partnership with the Aboriginal Reference Group. 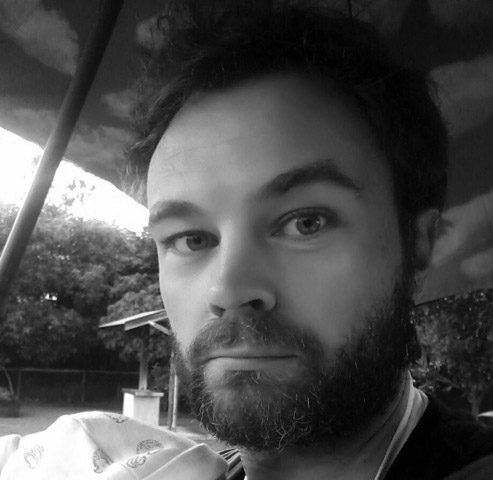 Diversity is the key word, with Re(A)d Earth designed to represent the Australian Indigenous experience as widely as possible, not to mention a range of styles and medias. Megan Cope, Old Kahibah (detail) 2018, parish maps, vinyl print; Old Kahibah sound extraction and abstraction; locally sourced rocks and hollowed timber; violin, cello and double bass strings, sculptural installation dimensions variable, courtesy the artist and THIS IS NO FANTASY + Dianne Tanzer Gallery © the artist. Among the works that Biles-Fernando is particularly excited about is Chaffey’s striking commissioned painting The Killing Song, 2018, an allegory of white man’s appropriation of land and dismissal of spirit. She also notes Archibald’s film installation Toe Yirannalai, 2018, which references the little-known story of the Singing Cliffs of Newcastle, which have been battered by both erosion and modern earthworks. A work that expresses a profound spiritual connection with the landscape of the Hunter region is Fielding’s Puna Borii, 2018, a painting inspired by the sandstone engravings found in the area. 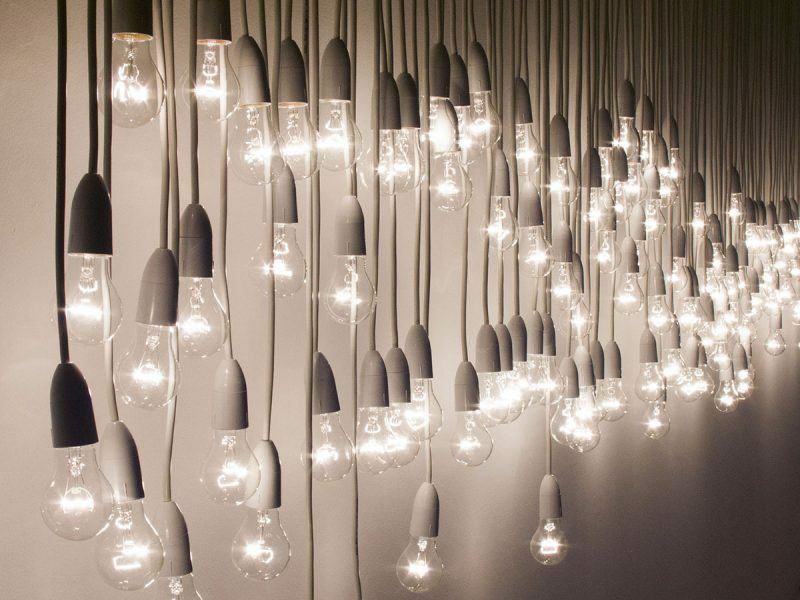 Another highlight is the adventurous piece by Jonathan Jones, 68 Fletcher, Bondi, 2003, which aims to recreate the mood of the beachside suburb at night though domestic light bulbs that hang from extension cords down the gallery walls. Jonathan Jones, 68 Fletcher, Bondi, 20:20, 8.6.03 (detail) 2003, extension cords, household light bulbs, movement sensors, 890 x 230 x 17.5cm. Gift of the Newcastle Gallery Society 2007, Newcastle Art Gallery collection © the artist. One could say Re(A)d Earth thematically incorporates various aspects of the three other Hunter Red exhibitions: a strong political message can be found here, as can wild imagination and colour and a physicality that expresses a kinship between body and earth. 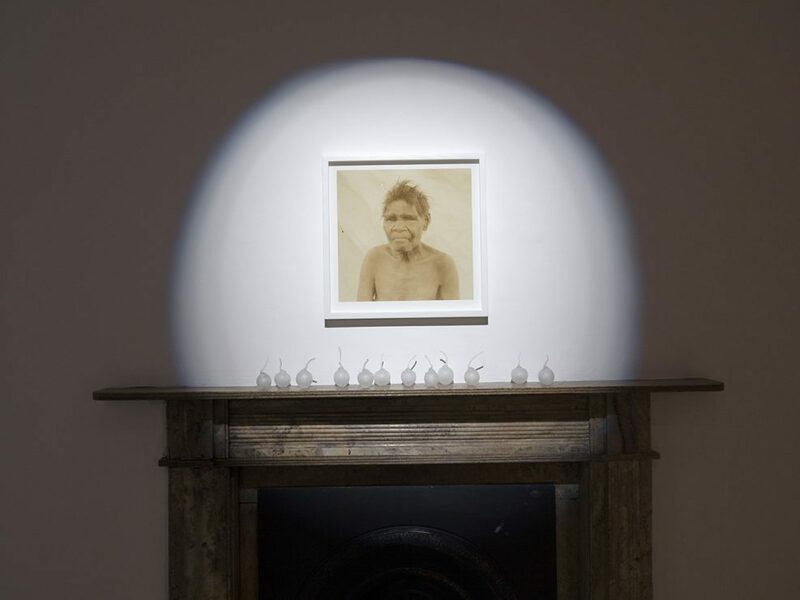 “Colour, movement, ritual, custom and contemporary praxis bring a freedom of expression so often denied to Aboriginal people across many avenues in Australian society,” says Biles-Fernando. Handmade ceramics are often described as possessing the marks of their makers. 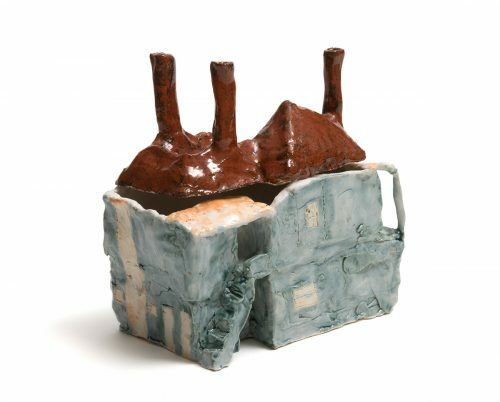 Like an extension of the individual, the clay form is born from within the maker, a direct conduit of imagination and memory.